The Col de la Croix de Fer is situated in Rhone-Alpes . Starting from Saint Jean de Maurienne, the Col de la Croix de Fer ascent is 30 km long. Over this distance, you climb 1522 heightmeters. The average percentage thus is 5.1 %. The col de la Croix de Fer links the Maurienne en Savoie valley to those of Romanche en Isère. 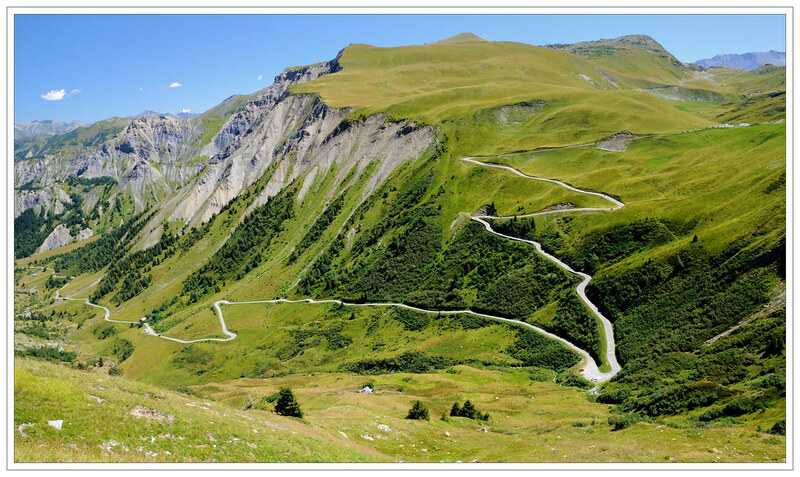 It's a very long and irregular col, the road winds through forest then open high meadows, the gradient changes from steep to relatively easy back to steep in the space of a few kilometres. When you reach the crossroad with the Glandon, you can make a small detour of 1,5 km to reach the top of the Croix the Fer and to enjoy the view. Note that the climb is closed from the beginning of November to the beginning of May. What's going on in Tignes over the Summer? Green light for pre-season training! 'El Nino' season for New Zealand?